Before joining the Master's program at CMU’s HCI School, I had 5 years of product management experience - 3 years at Funtoot & 2 at Educational Initiatives. The ones spent at Funtoot (adaptive, personalized learning system) were the most stressful and rewarding. I joined Funtoot, a month after the start-up had raised Series A (~2.5 million USD) and the mandate was to grow exponentially and also demonstrate learning outcomes. 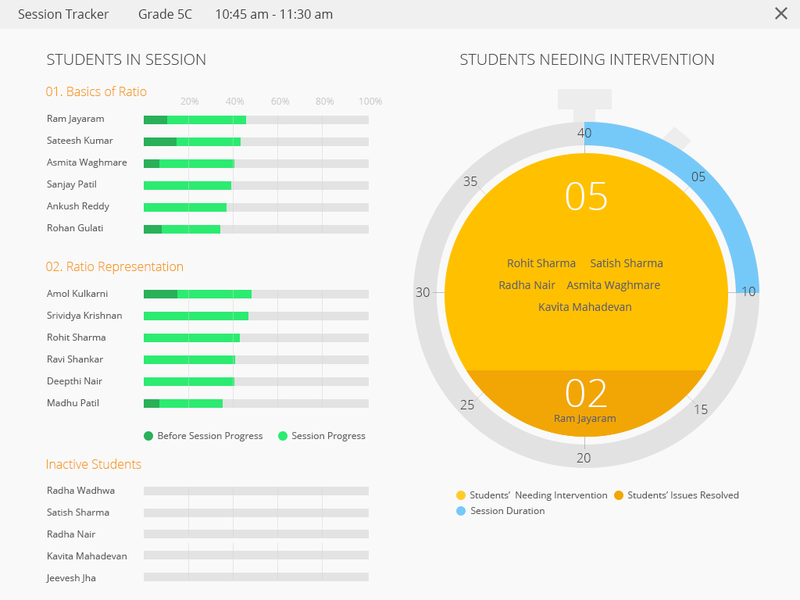 Of all the things I did at Funtoot - managing agile sprints, tuning the adaptive engine, user onboarding, product efficacy analysis, etc - one thing I truly enjoyed was working with the Design Lead to build product interfaces for our primary stakeholders - students, teachers, and parents. A couple of examples, i) designing a learner interface that aided step-based math/science problem-solving across devices with neatly tucked in hints, error messages and problem solution, ii) conceptualizing a teacher dashboard that could assimilate piles of real-time data and help identify struggling students and skills to focus on. Over a period of time, I thought I became great at visual and interaction design. So much so, that after 2 weeks of joining CMU, when Karen Bernstein, my professor for the Interaction Design course asked us to bring some design artifacts that we valued and thought were great, I went to Funtoot’s website and printed the below interface - in color. On class day, I gleamed like a kid with candy and stood up to explain why this particular design was par excellence. Now a modern age product manager is supposed to know about IDEO, d.school, design sprints and while I was aware of them, the way I led things as a product manager at Funtoot was mostly organic and gut-based - a couple of interviews here and there and off I flew building interfaces with my Design Head. I am not saying what I pulled off at Funtoot is bad - I am still very proud of it, but the methodology could have been a little more scientific. My first brush with this scientific methodology happened through Prof. Marti Louw and her class - Learning Media Design. As an early assignment, we were asked to choose a design process model from DDO’s Compendium of Models handbook that best represented our design approach leading to the development of an innovative and effective technology-enhanced learning experience. 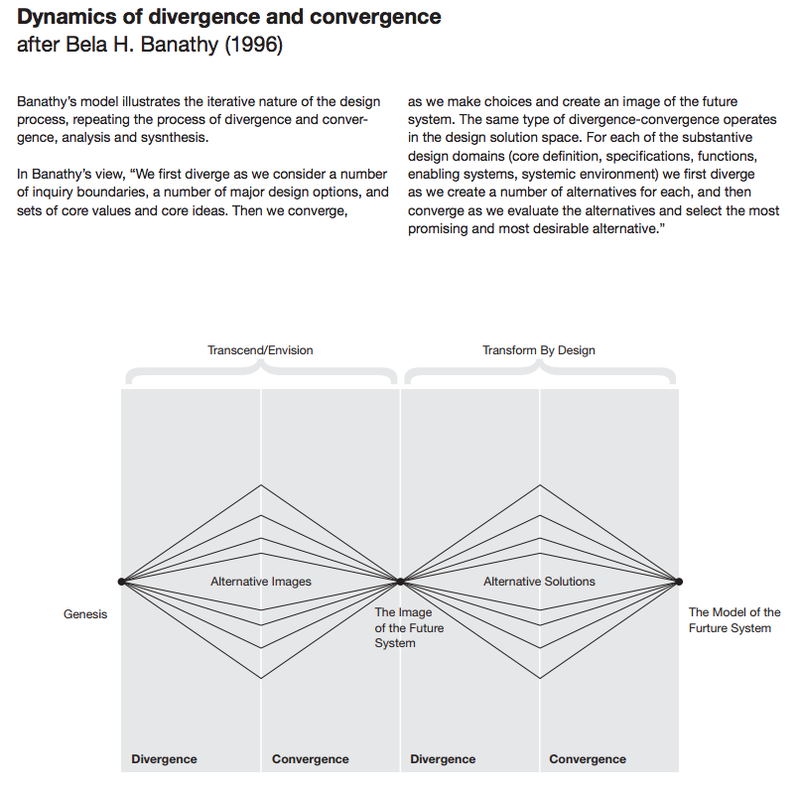 I chose Bela H. Banathy’s model that illustrated the iterative nature of the design process. While I did not end up taking this class, it served as a warm introduction to what design thinking or human-centered design could be. I had to wait a good 6 weeks, before an assignment in Karen’s Interaction Design course, a class I ended up taking, formed the basis for this article. In a team of three, we were asked to design an app for early dementia patients and their family members who also acted as their primary caregivers. Our initial brainstorming led us to the following ideas - app to remind family caregivers of doctors’ appointment, app to help with prescription refill, app to help with patient’s dietary needs, basically, app ideas to address functional needs of the patient. After the initial brainstorming, came a period of handholding - learning to conduct interviews, drawing insights from these interviews, building an affinity diagram, personas, journey maps, storyboards, mood board etc. Now the process we followed is important but not relevant to this article (for people interested here is the process documentation). What happened after we followed the process and the stark contrast between our initial brainstorming ideas and the final product needs to be highlighted. Over a period of time, we discovered that distrust and inability to dissociate from responsibilities led to a fractured relationship between caregivers and the elderly patient. Shared caregiving is (ironically) messy and stressful. Our solution, PhotoJog, then became an app to restore lost connections between patients and their family caregivers by driving joyous conversations around old nostalgic photos. Now, this article is not about how you cannot design in silos anymore and need to talk to your consumers/customers. That’s obvious. That’s basic. This article is about the need to go beyond that usual customer conversation. We did and came up with PhotoJog. Had we not, we would have designed a me-too app that wasn’t differentiated and solved a superficial need.